Some time back there was lot of discussion on which grass is best for the lawn. The American, the Korean, Bermuda and fine Dhaka were discussed and so must have been grown. I think it would be of great help if each of us was to up date on there lawns/grass. Cost = 0, Taken from the road side in front of my house. And what about the grass in first picture. So lush. Sir, have you made changes in your garden?? it was different when i came last year..
farah fayyaz wrote: And what about the grass in first picture. So lush. Izhar wrote: Sir, have you made changes in your garden?? it was different when i came last year.. Many a water has flown under the bridge since then.The swimming pool and the path on the NE has left me with a very little space for garden. Annuals along with some vines are now grown in containers only, non the less it is getting more interesting. . I water it ever other day and move it twice a week with regularly irregular weeding (mostly other grasses). Waiting for response from those who elected to grow American & Korean or any other grasses. Sir...... If I may narrate an old incident. 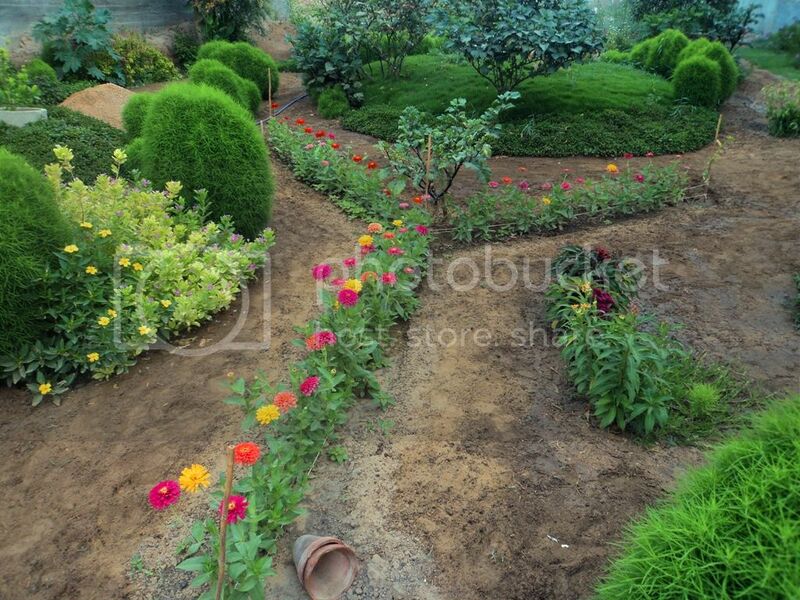 A good friend who was fond of gardening once visited my house when I was living in Kashmir and was extremely impressed to see a very lush green lawn. He asked me which grass is this. I told him a complicated botanical name and that I have imported this expensive grass from Germany. He was even more impressed and said that he already knew that this is an imported grass. "You get what you pay for", was the CONCLUSIVE comment made by my friend. And of course he also asked me to arrange the same grass for his lawn. In the evening we went for walk in the nearby hills and I showed my friend the grass growing wildly in the jungle. During rains, it had grown quite big and irregular with ugly looking insignificant flowers. How do you like this grass for your lawn? I asked my friend. He gave me a dirty look and said, "are you joking"? I told my friend that I am absolutely serious because he has asked for it. 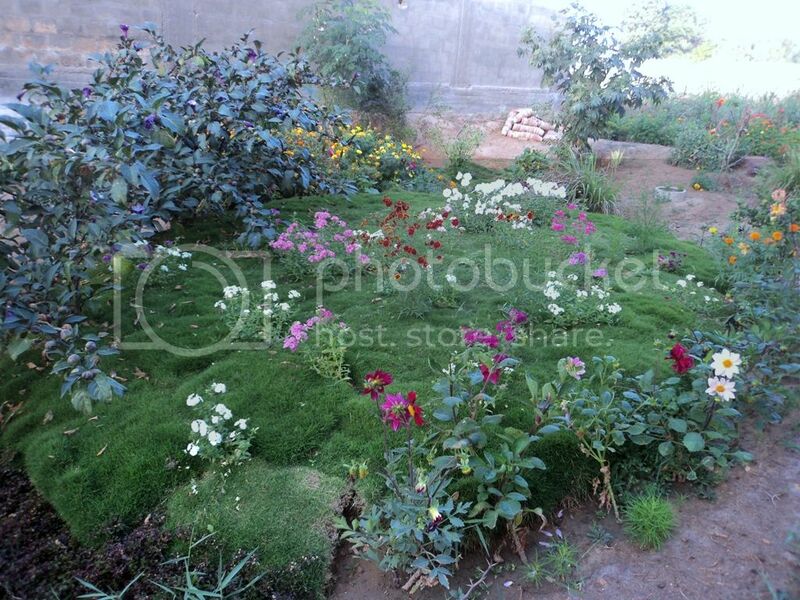 Why would I ask for Jangli ghas for my lawn, he said. And when I told my friend that it is the same grass that he saw in my lawn, my friend didn't believe it till the time I showed him the grass in detail and told him that the only difference in this grass and the one in my lawn is that the one in the lawn is properly mowed, fertilized and watered whereas the one in jungle is growing wild.... that's all. The native grasses that grow naturally in Pakistan, when given proper care and attention, perform far better than the imported grasses with minimum care and as Brig sahib mentioned, "Cost = 0". And you would find a local grass growing even in a desert. I have tried them many times in different areas and it has worked every time for me. There are many of them in different areas..... the only thing one needs to have is an eye to appreciate its shape and texture in the mowed form because in nature, one would normally come across a large size deshaped plant which would look quite different from mowed grass.